Some 475 million years ago, algae washed ashore into a moist, protected nook and developed as the first land plant. Since then, species have gone extinct and the very shape of the world has changed, but the plants have remained, adapting to each new challenge with increasing complexity and variety. Today, botanists recognize four broad classifications within the plant kingdom that show the plants' storied march through time. Bryophytes, commonly identified as mosses, form the simplest and oldest of the four plant classifications. The earliest mosses evolved from algae and so were adapted to living in an aquatic environment. As such, they had no vascular systems or roots, since all cells could extract water from their aquatic environment. Mosses, likewise, required contact with water, keeping their leaves small and causing them to prefer damp, shady environments. During reproduction, mosses also need water to carry the sperm to the egg. When fertilization occurs, mosses produce spores, tiny cells that, if they land in a suitable environment, develop into a new plant. Ferns constitute the second major grouping of plants and the next major step in plant evolution. Ferns were the first plants to develop a vascular system, a simple pipeline through which water drawn up from the roots and nutrients produced in the leaves can be distributed throughout the plant. This allowed ferns to grow larger and adapt to a wider range of environments than mosses, which needed to be in contact with water for their most basic functions. Like mosses, ferns also produce spores and, therefore, still require water to reproduce. The brownish clusters you can observe on the undersides of fern leaves are called sori, or fruit dots, which produce millions of spores, each with the chance to develop into a new fern plant. The development of the seed was one of the most important evolutionary advantages for the plant kingdom because it freed plants from water dependence for reproduction, in addition to providing extra protection and nutrition for developing plant embryos. Gymnosperms were the earliest seed-bearing plants that are still in existence today, and they likely evolved from seed-producing ferns now long extinct. 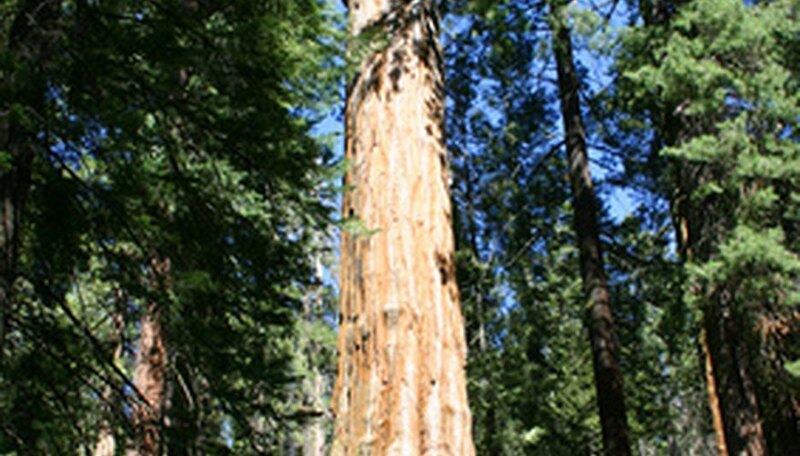 Gymnosperms include conifer and palm trees, and as their name suggests--gymnosperm means "naked seed" in Greek--their seeds develop uncovered on a cone rather than protected by an ovary. Gymnosperms have both male and female cones. The male cones produce pollen that, when the wind carries it to a female cone, fertilizes the eggs inside the seed. The final plant phylum is the angiosperms, or flowering plants. Today, the flowering plants dominate, with a quarter-million known species, well over half of the plant kingdom. The most obvious difference between flowering plants and the other phyla is, of course, the development of flowers, the bright colors of which actively attract pollinators. Flowers also protect the developing seeds inside of an ovary, and some species produce fruit, which improves seed dispersal. Additionally, the vascular systems of flowering plants improved, developing into long tubes of nonliving tissue rather than strings of porous cells.